Read About Aussies to see if an Aussie is right for you! 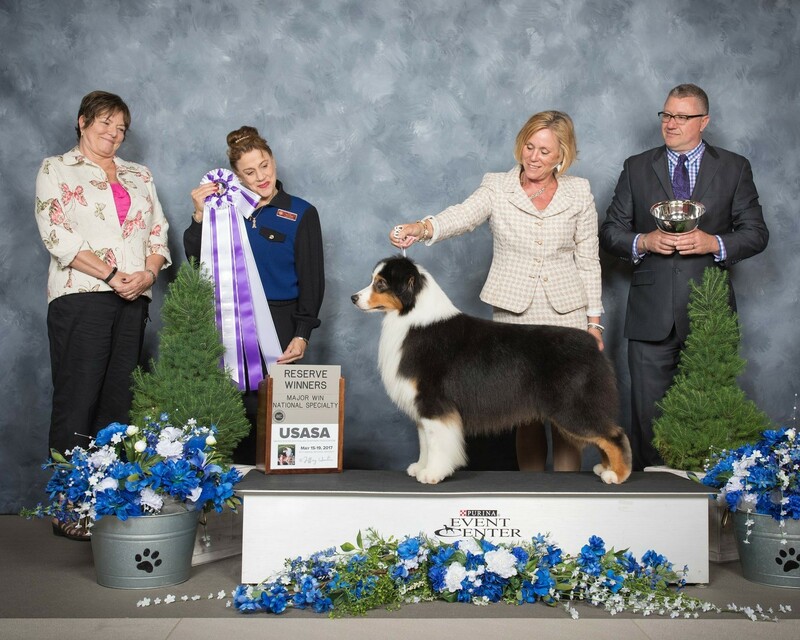 BISS GCH AKC/ASCA CH Heatherhill Linkin Park DNA-VP "Linkin"
Headstrong Race Me To Catori DNA-VP "Danica"
Linkin is an outstanding stud dog who has proven himself both inside and outside of the ring, with outstanding offspring titling in all areas. Danica also has offspring titling in all areas. This should make for a cross of beautiful, biddable puppies. We are expecting a gorgeous litter of all four colors and are accepting reservations at this time. Please contact us for more information. 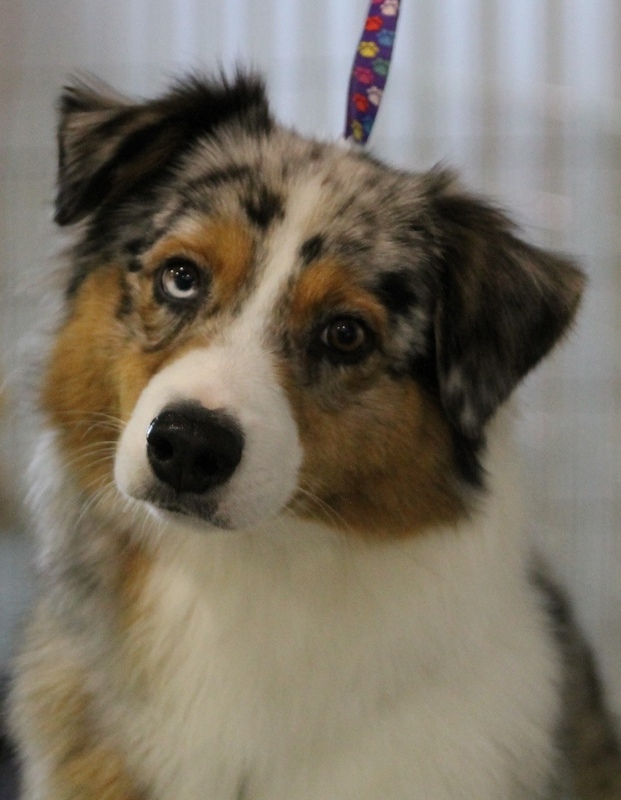 BISS ASCA CH Copper Hill's No Coincidence DNA-VP "EJ"
Catori's Make Up Your Mind DNA-VP (mjr. ptd.) 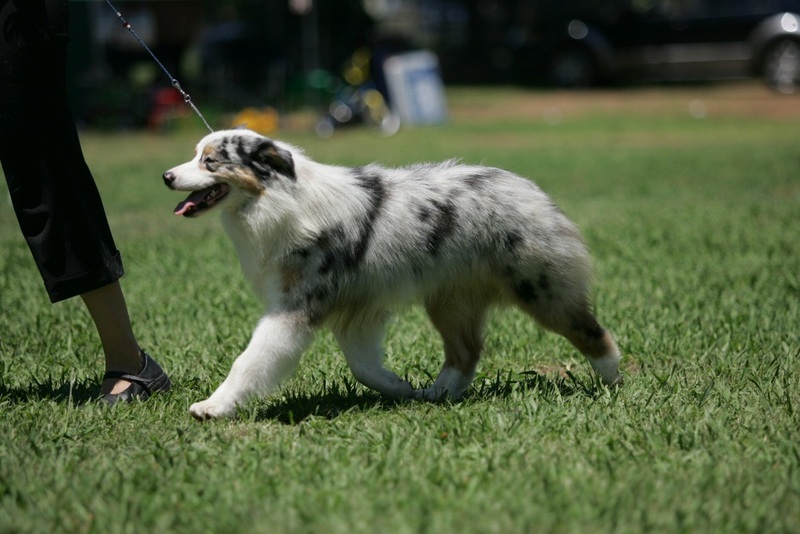 "Ulta"
EJ is an outstanding stud dog who has proven himself both inside and outside of the ring, with outstanding offspring titled in all areas. He is quite possibly the sweetest dog and passes that on to each of his offspring. He has recently come out of retirement to help our son in the Junior Showmanship ring and is more than happy to oblige! 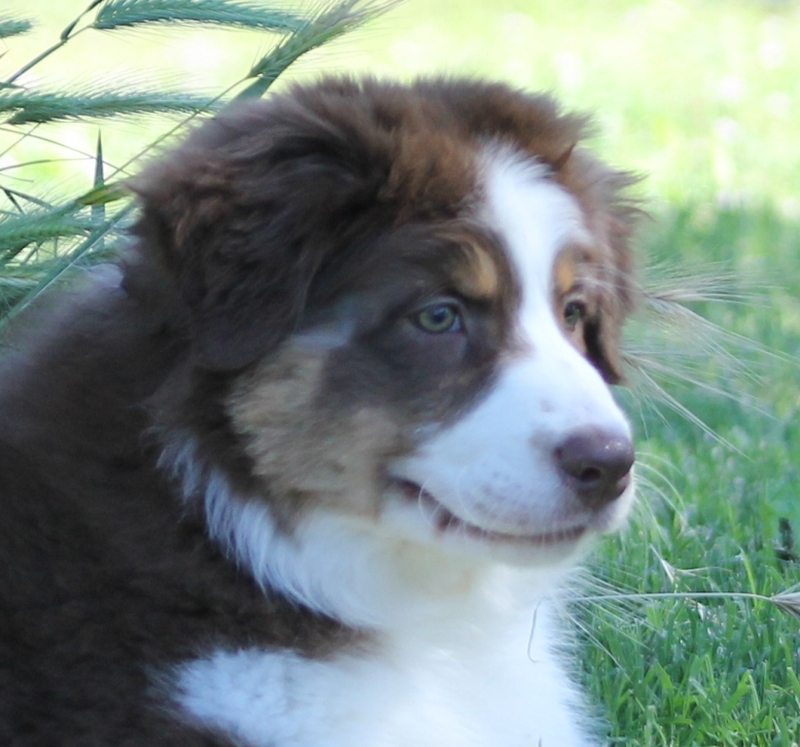 This will be Ulta's first litter and we have been planning it since the day she was born. We are excited to once again linebreed on Heatherhill and Bayshore, bringing both old pedigrees together. This should make for a cross of gorgeous, easy-to-please puppies. We are expecting a stunning litter of all four colors and are accepting reservations at this time. Please contact us for more information. Please CLICK HERE to see litters sired by our dogs elsewhere! No photos may be taken from this site without express permission from the owner.